Park Sharon Cheerleaders provide spirit and enthusiasm for our PSAA boys basketball games. Cheerleading is a great opportunity to have fun, meet new people, stay in shape, be part of a team, overcome shyness, build self-confidence, and learn valuable cheerleading skills. Our Cheerleaders have a great time, and their enthusiasm is contagious! The camaraderie and the support that develops for both the teams and for each other is a valuable asset at any age! 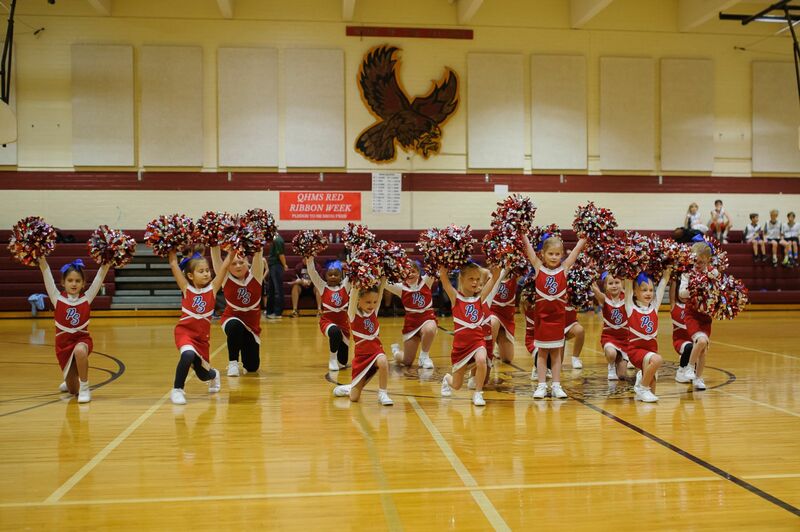 The Cheerleading Season at PSAA runs from November through the end of February. Cheerleading is open to ages 5 to 14; all levels of experience are welcome. 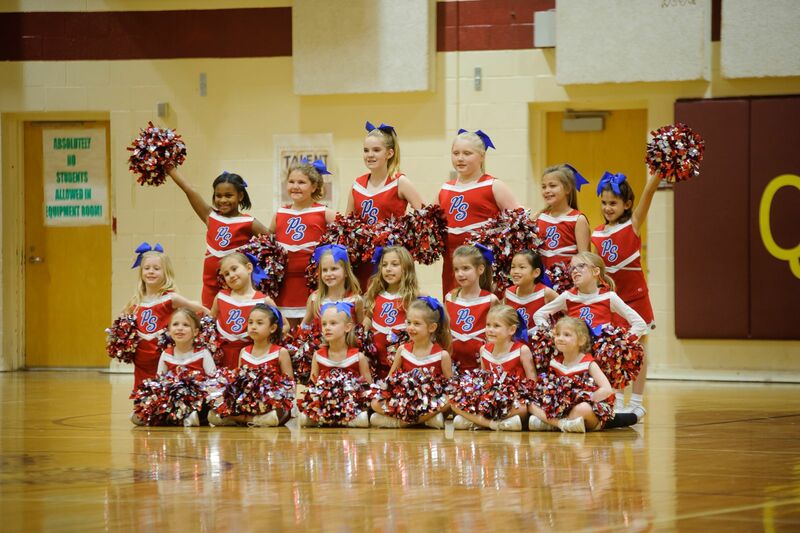 Every Cheerleading Squad participates at one game each Saturday on a rotation basis during the basketball season. The youngest Squad cheers for their comparable boys basketball team age group; the next older squad cheers for their comparable age, etc. Cheer Squads are determined based on age but are flexible to aid carpooling, special requests, etc. Our Park Sharon Cheerleaders cheer for the PSAA Boys Basketball Teams; games are on Saturdays in the Quail Hollow Middle School Gym. 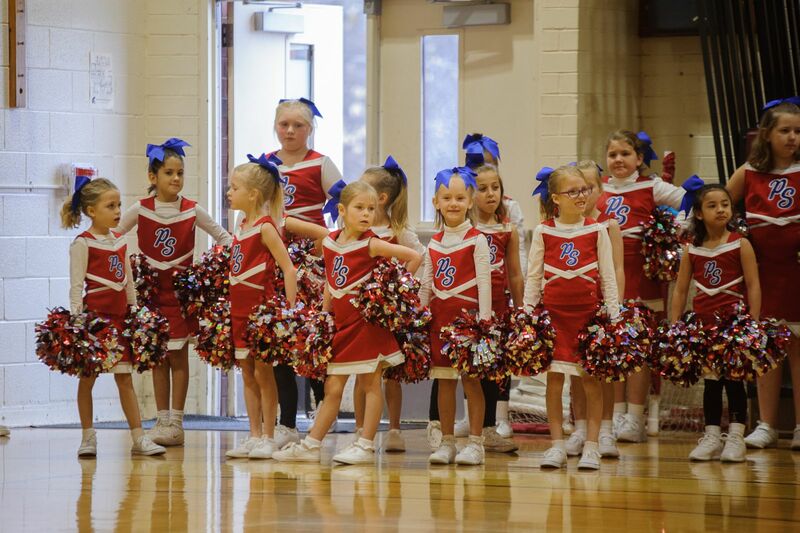 Cheerleading practices are held at Smithfield Elementary School, once a week in the early evening (day of the week for practice is determined based upon the availability of the volunteer coaches and the school's facilities). The PSAA Cheerleading uniform consists of a pleated skirt, Park Sharon Cheerleader logo vest, bloomers, and a set of pom-poms. All pieces are yours to keep. All Park Sharon coaches generously volunteer their time, talent and knowledge to our PSAA organization. Squad leaders are volunteer parents who are present at all practices and games to provide responsible adult supervision as well. PARK SHARON DOES NOT PROVIDE INSURANCE FOR ANY PARTICIPANTS OR COACHES. please email us at Cheerleading@parksharonsports.com.